This neat little pendant is one of our best sellers and has matching earrings in the earring section. An 8x10mm Oval Rainbow Moonstone set in a pointy oval shaped pattern. All Rainbow Moonstones are unique and individual. We do our best to match the colour of the stone in the picture but there will always be a slight variation. 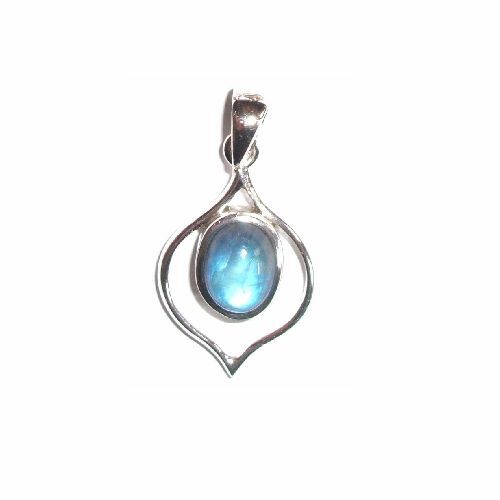 Rainbow Moonstone also nearly always has inclusions this is also a natural part of the stone.